The Water Realm is a place of cool easeful flow. 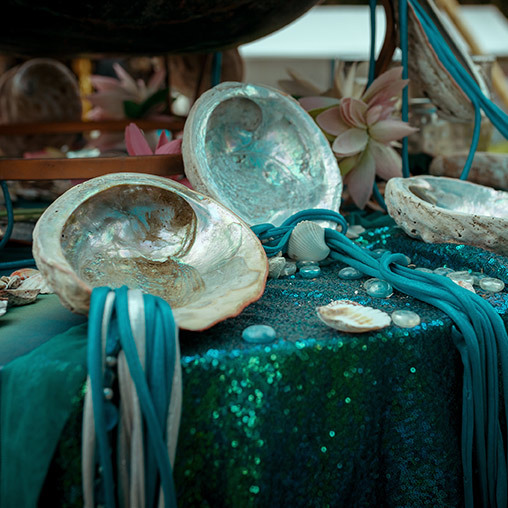 Within this realm you’ll find movement and healing, environments that evoke emotional responses, temples and altars that give gratitude for the wellspring of life that flows through us all, and art pieces and workshops that pay homage to the Moon, fertility, dreams, friendships, and transformation. Water is the first element necessary to create and sustain life – think of the oceans and seas that covered the planet before the first peaks of land emerged. Water has the ability to quickly change from solid, to liquid, to vapor. It makes up approximately 70-80% of our bodies and of the Earth. Water is believed to carry coding and can store memory – much like crystals do – and can be a powerful conductor for electricity. The Oracle of the Well is a place to learn about the ways in which water can support you. How can you be a better conductor, a sustainer of life, and a carrier of the codes of purity and healing? River ebbs and River flows. She is an Elemental, the guardian of the Realm of Water, and is at once a peaceful warrior and a healer. At night she dreams of traversing the cosmos with her good friend, Blue Space Whale. If you come across River on your journey be sure to offer kindness and respect, she is precious and deserves to be treated as such. She also appreciates clarity, and will not stand for stagnant, depleting, or filthy energy. Her home is a place of healing, of movement, and of renewal. 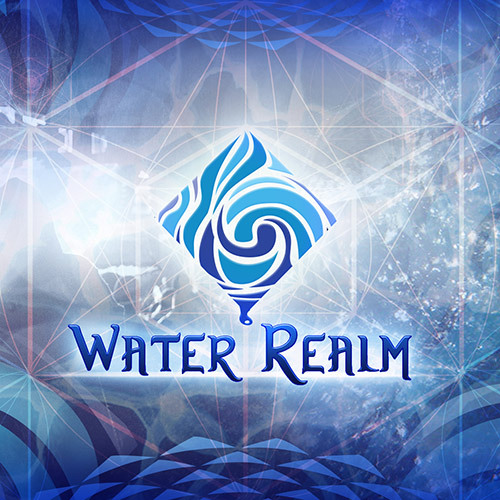 The Elemental Realm of Water is one of 5 Realms that are clustered throughout the meadows and majestic Oaks of the Lucidity landscape. Each has it’s own personality, mood and resonance. If you are drawn to earth energies, then you may often be found in the Earth Realm. PureEnergy.Love is the natural human state. 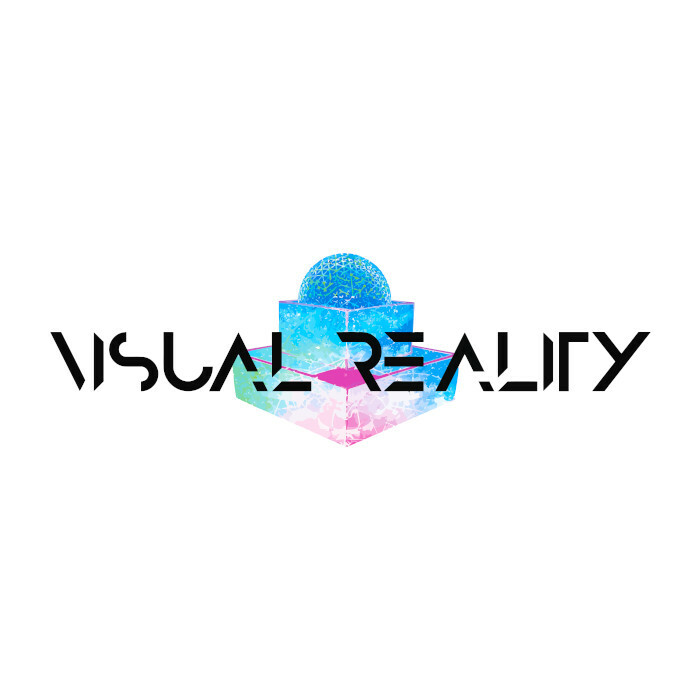 It is the natural state of all life; to play, inspire, to share and emanate, to co-create, collaborate, and to celebrate human victory upon the Earth. 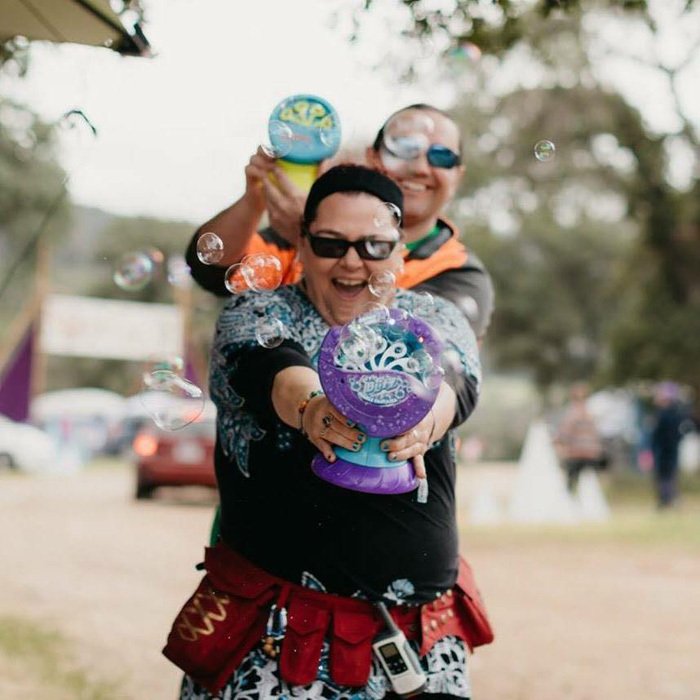 BubbleCamp creates an atmosphere that turns every Lucidity Participant into a child the moment the first bubble appears in sight. Dancing through a magical wonderland of bubbles will take you out of the terrestrial world into the ethereal plane. 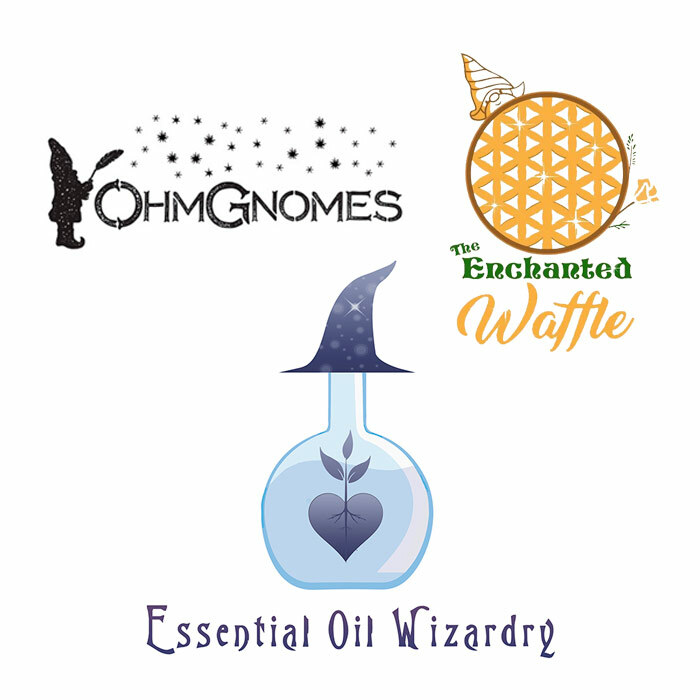 Our collaborators at the Wizard’s Hub are excited to dazzle and enchant all of your senses as you come to tap deeper into yourself while simultaneously losing yourself in our mystical realms. Seeing is believing in this world of infinite possibilities. 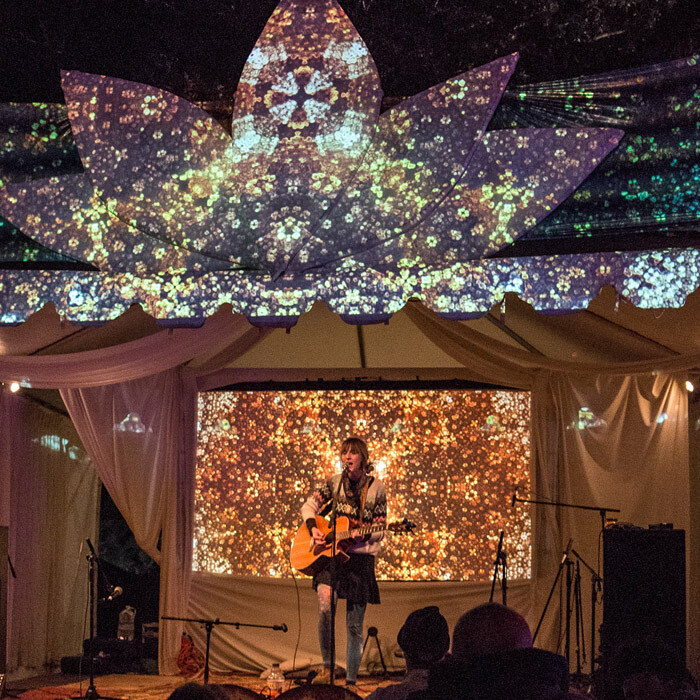 Immerse yourself in the full spectrum of new realities, then come together for the synesthetic Visual Soundbath that joins powerful sound healing vibrations with beautiful mind expanding projections. 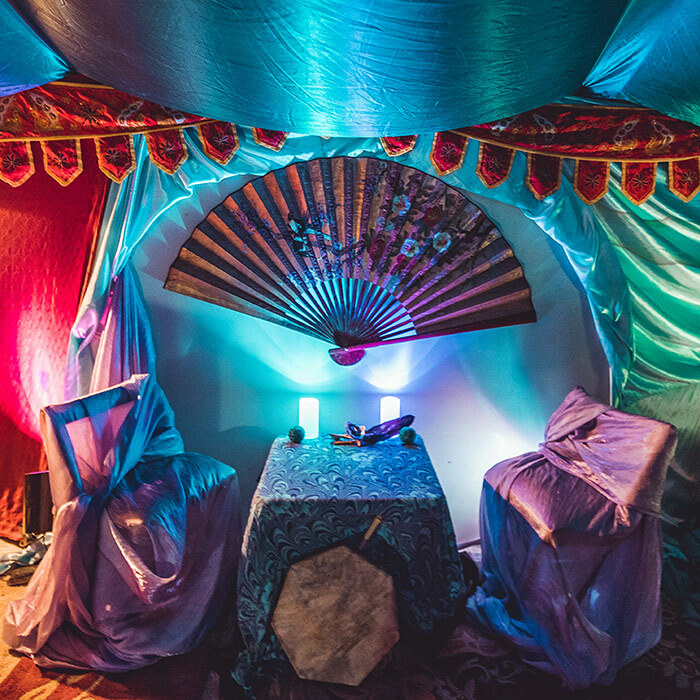 Come connect with community over tea and get your readings from one of Lucidity’s Elemental Oracles. 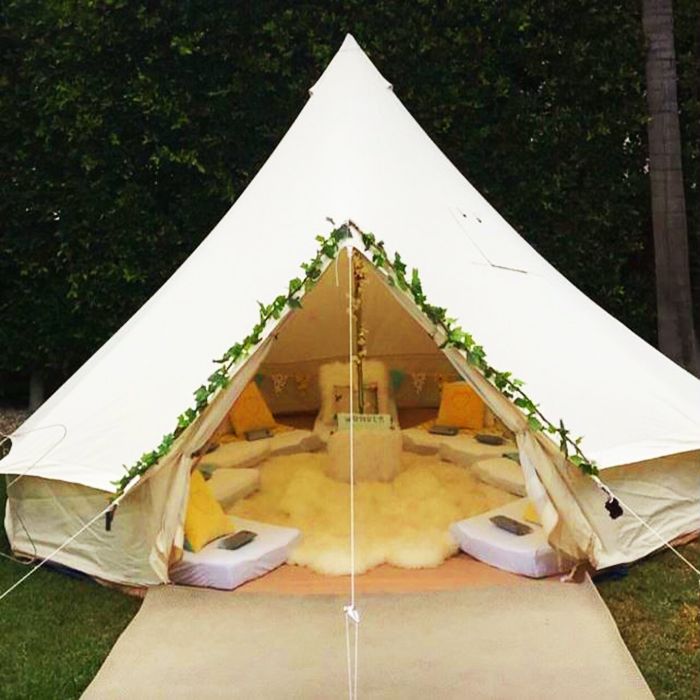 You can also take your tea outdoors directly into the Refresh Your BEing cozy nest beneath the oaks as you enjoy the goings on!